Thanks! Appreciate it. Hopefully we can keep it FL. This is a great game. I would never be selling if not for $. Someone is going to get a keeper. --Not really looking for any trades but always open to listening. Nice examples of NBA Fastbreak, Time Machine or Shadow could interest me. Decided to look into any local trades with newer Sterns or nice B/W with even or + cash my way. Send me your trade offers. $8400 delivered locally within few hours of Orlando, FL. Take off $150 if you want to pick it up or have it shipped out of state. any New Sterns or nice B/W examples in local trade + cash for the DILE? Would be interested in new Beatles, Shadow, Time Machine, among others if you have any trades. $8k is lowest I will go otherwise I’ll keep it. Thanks for interest. That should be gone for $8K. That’s what I paid for mine six months ago. Great pin! Agreed. It's a really great game. Just had some things come up unfortunately need the $ back for now. I will own this title again it really is easily JJP best pin imo. ...PinRush, please check your PinsideMail for message. Thanks. I could remove couple mods and bring the price down some if anyone is interested. If I didn't own DI would buy this one. ...please check PinsiderMail, again. Thanks. $9000 NIB plus $600 in mods priced at $8000 with only 100 plays like new is a no brainer deal for anyone looking for this excellent and underrated title. Great game and great seller! Buy with confidence! Have seen this machine and it’s just like NIB plus the mods! Can’t go wrong on this one. Thanks for the kind words. Enjoy the IM it’s a beauty! I’ve seen and played this DILE and looks brand new. Pinrush is a classy guy and great seller.. GLWTS Bro! Thanks man. Someone is going to get a steal. I just think it’s a timing thing. 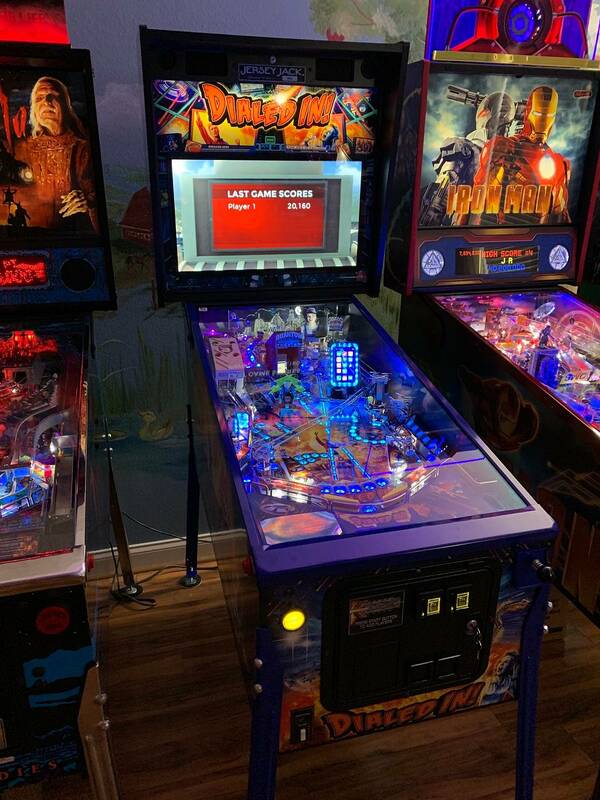 It's a great game and most pinballers know that. I’m going to sell couple mods and lower the price this week I think. Sold the topper and mirror art blades. Bump new price $7600.